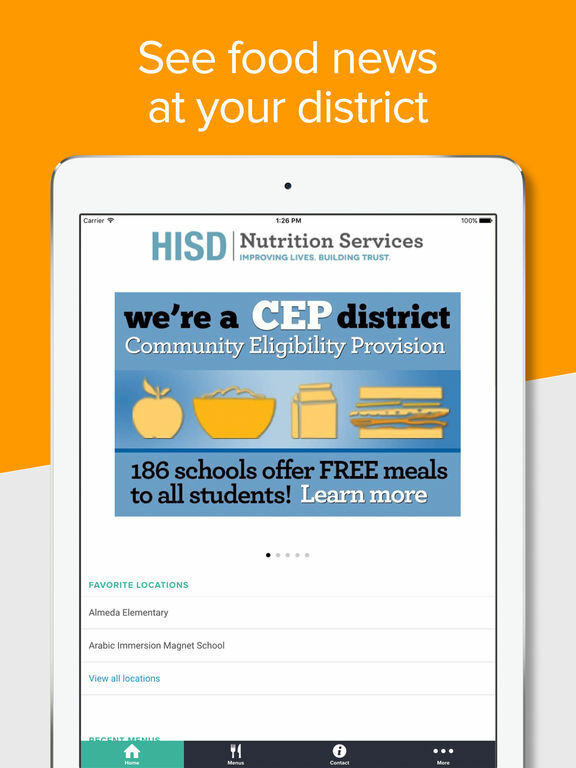 This awesome little app makes finding your school’s lunch menu a snap – and encourages the school district to provide more information about the foods they serve. 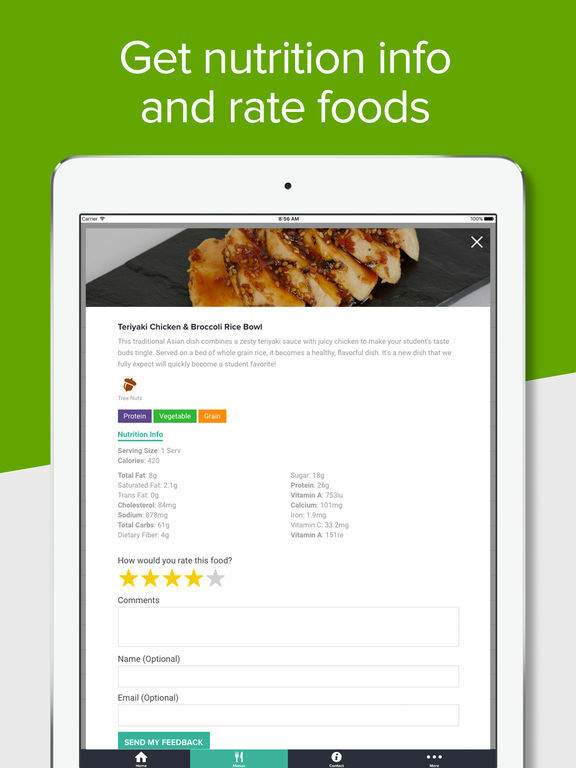 It also helps parents and students provide feedback to their school district about the foods they serve! 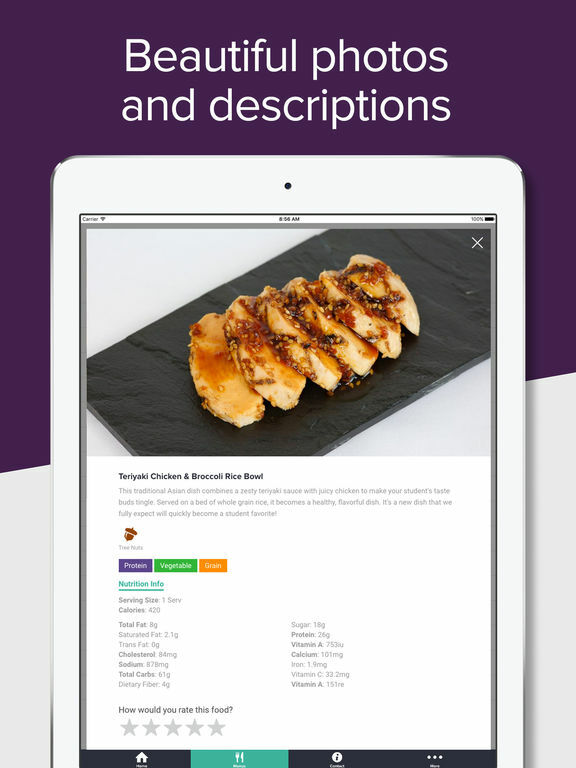 Finding answers about school foods is now just a touch away. 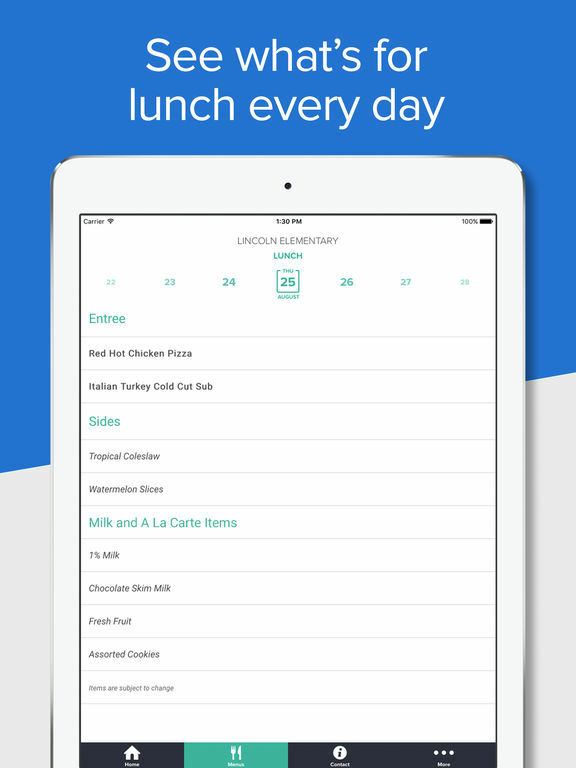 - We store the last 3 school menus you viewed, so you don’t have to keep finding them again. 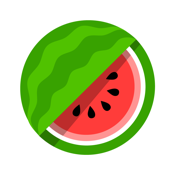 There are lots more features to this app, but instead of reading about it why don’t you download it and give it a spin!